Contacta Speech Transfer Systems (STS) facilitate hands-free communication through security screens in banks, cash offices, bureaux de change and ticket offices, offering both loudspeaking and induction loop facilities. The STS system could also be used to communicate across offices and other work areas. 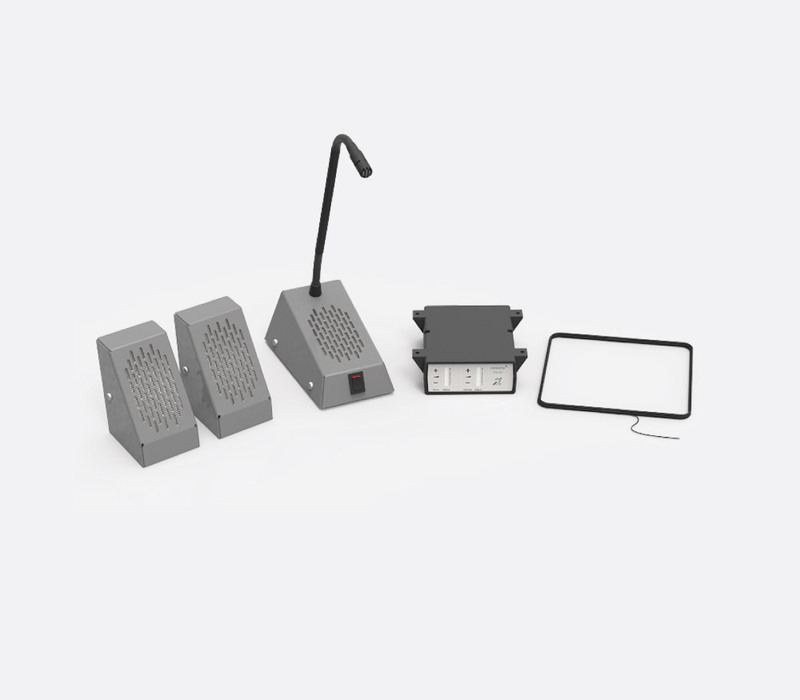 A range of boxed kits is offered, which contains all necessary components, for easy installation. 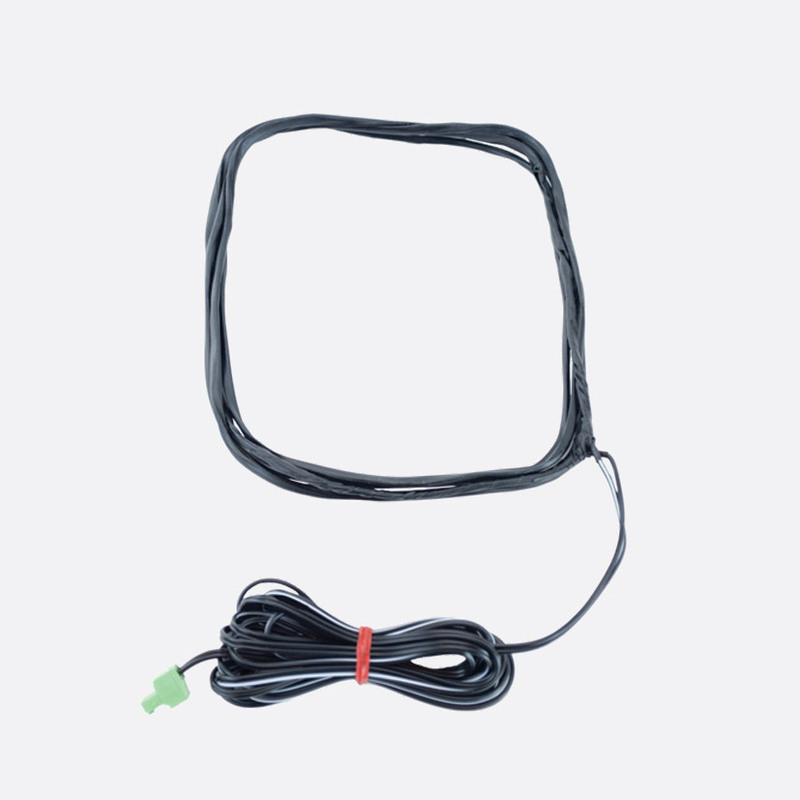 Kits are supplied boxed, complete with instructions, IL-AE99 induction loop aerial, PS-55-01-UK power supply unit and all components including induction loop aerial fixing kit, signage and mounting bracket. Intended to sit on a counter, this has a microphone in the centre and speakers to either side. The all-in-one design makes it a 'robust system that is effortless to install'. Built in an ABS plastic case, with lugs to be screwed to the underside of the counter, the STS-A31H amplifier provides two channels of full open duplex communication, with a loop drive compliance bounded by 4V RMS and 3V RMS. The gain on each channel can be adjusted independently with volume controls. All connections are via two pin plugs. Microphone cable is screened, loudspeaker and induction loop are twin wires. Dimensions: 116x115x40 (HxWxD) mm. Weight: 100g. 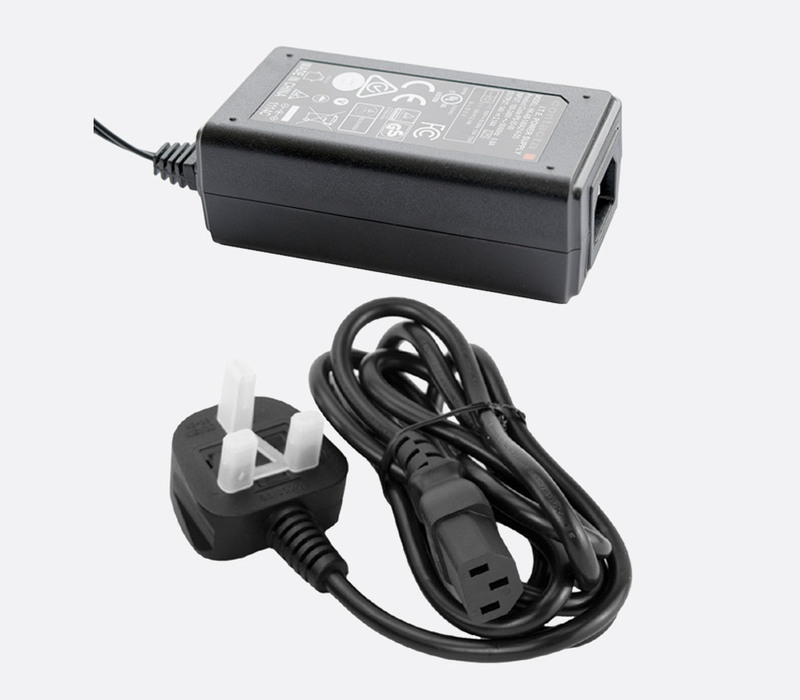 Power supply: PS-55-01-UK, 12-14VDC. 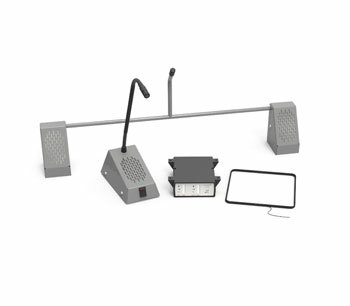 These are both designed to enable the use of headsets in place of the staff microphone/loudspeaker. This gives for a quieter environment in places such as ticket booths, service points or where multiple vendors are nearby. A push button allows for muting. These units are identical other than the STS-SJB has headphone and microphone inputs and outputs via 3.5mm connections whilst the STS-SJB-RJ has a single RJ11 connection for both headphone and microphone. Connection to STS-A31H amplifier is via 2-pin removable terminal-block connector ('Euroblock'). Dimensions: 20x117.6x39 (HxWxD) mm. Weight: 100g. This free-standing unit is available in grey, black or stainless steel. It is for use on the staff side of the security screen and offers a mute switch for convenience. 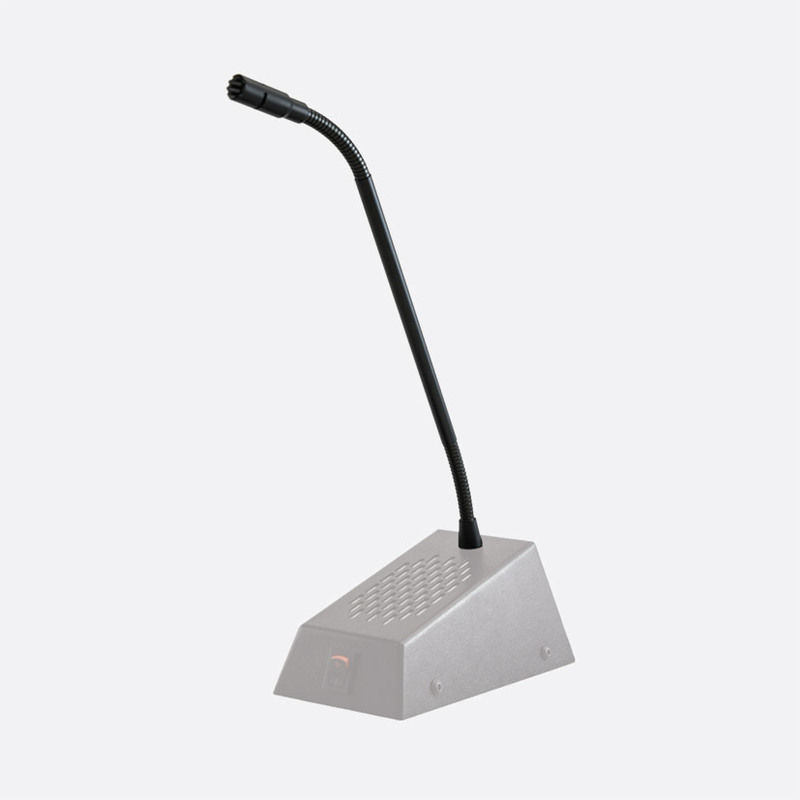 The cardioid microphone capsule with a frequency response of 150Hz-10.5kHz and a sensitivity of 49.5dB (at 1kHz), is positioned at the upper end of a semi-rigid stem with adjustable neck. The loudspeaker is rated at 5W RMS with an SPL output of 1W at 1m 85dB. Dimensions (HxWxD): 370x95x150 (HxWxD) mm. Weight: 820g. This manufactured in mild steel for durability. A 300mm flexible gooseneck is attached to a round base with a diameter of 70mm to give a total height of 340mm and weight of 950g. The microphone has a cardioid pick-up pattern, a frequency response of 150Hz - 10.5kHz and a sensitivity of 49.5dB at 1kHz. IL-AE99 induction loop aerial (copper wire), PS-55-01-UK 14V, 2.14A power supply.